Sew Damned Creative: Mad Men Challenge 2 - I'm In! The actual dress she is wearing is emerald green and it looks like a jacquard fabric.I hunted and hunted at my local Hancock's but couldn't find an emerald or even an olive green fabric that I felt would justify a cocktail dress. However, I did come across some really pretty chocolate poly shantung. I wish it were silk, but my local store had no silk at all. I was not impressed. Next time I'll go to JoAnn's that's further down the road. I picked a cotton broadcloth in orange for lining. I prefer to have natural fibers against my skin. 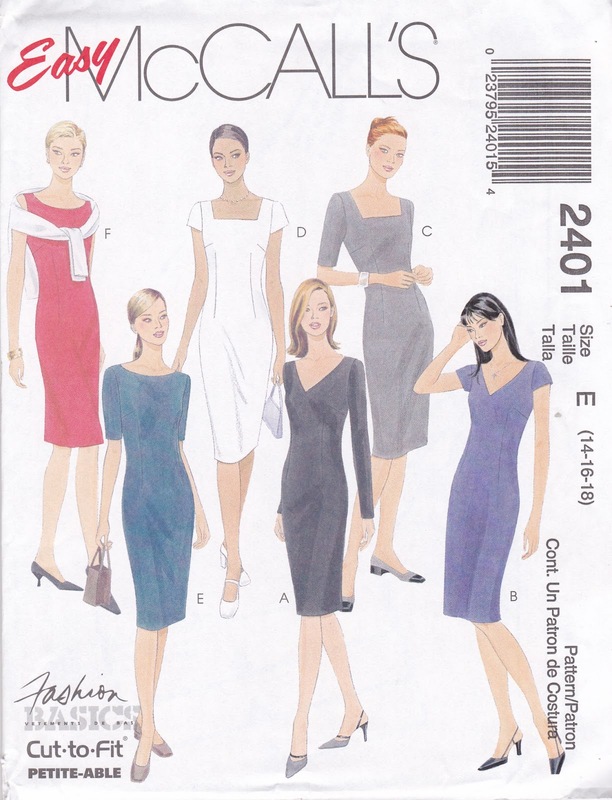 I'm using McCall's 2401, View C with longer (3/4 length) sleeves. I got it on sale for $0.99 when I got my fabric. It looks a whole lot better on me than it does on Mathilda. She's too rigid to really pull off a wiggle dress. I'm hoping to be done with tweaking after the 3rd one, but I might need a 4th for fine tuning. Then I'll have to work on the sleeves. Luckily I have just over a month before the deadline. It's going to be, hopefully, an amazing cocktail dress when I'm done. I want the fit to be impeccable. I'm loving the process of working out my fitting issues with this pattern. I think it will be a TNT by the time I'm done. 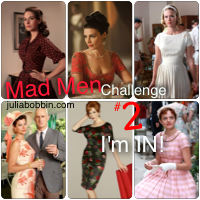 Are you doing this challenge? Leave me a comment with a link to your posts about it. I think you picked a good pattern to make that dress from! Thanks for the comment! When I saw it I thought it looked just like the dress (darts and all) and the costumer just made a covered belt to go with it. I also got supplies to make a covered belt for the dress.